ATCR1R5 series thermal conductive pad is a special compound formed by mixing the silicon gel flour and the ceramic flour. 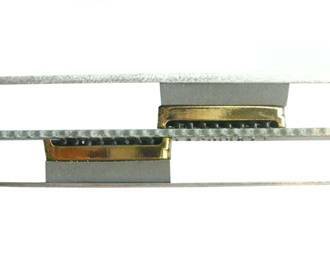 This pad has natural weak adhesion on both sides and presents good thermal conductivity and electrical insulation under low pressure. ATCR1R5 series can work stably at -40～150C. The flame rating is UL94 V0.